Good Works is a program started by the United Church of God to address needs that are not accounted for in the regular budget (natural disasters, international work and outreach). Our program accomplishes big things. It’s a great way to organize efforts to reach a much wider audience, but it’s not the only way. Group who took part in a 2016 Good Works project in Chile. In 2013, along with my wife Lorena, I had the opportunity to attend the Ambassador Bible College. During that year, in addition to all of the biblical education we received, we had the opportunity to meet and connect with many people who work at the home office. One of them happens to coordinate for the Good Works program. It had not occurred to us that we could propose a Good Works project in our country. The knowledge that one of these projects could eventually be conducted in our country caught our attention and encouraged us to try. In December of 2014 our proposal for a project in Chile was accepted, and in August of 2015 we conducted a successful project. It was successful physically as well as spiritually. This was a wonderful opportunity for some of the young people in Chile to know and recognize the international nature of the work of the Church, in addition to strengthening ties with brethren from different countries and creating contacts to participate in other projects around the world. Despite the success of this first experience of bringing together volunteers from different countries, there was a spirit in the participants that led to an interesting idea: “Why wait for foreign volunteers to do good works in our country?” The Bible is full of references to the importance of doing good works (Matthew 5:16 Matthew 5:16Let your light so shine before men, that they may see your good works, and glorify your Father which is in heaven. American King James Version×; Acts 9:36 Acts 9:36Now there was at Joppa a certain disciple named Tabitha, which by interpretation is called Dorcas: this woman was full of good works and giving of alms which she did. American King James Version×; Ephesians 2:10 Ephesians 2:10For we are his workmanship, created in Christ Jesus to good works, which God has before ordained that we should walk in them. American King James Version×; 1 Timothy 2:10 1 Timothy 2:10But (which becomes women professing godliness) with good works. American King James Version×; 1 Peter 2:12 1 Peter 2:12Having your conversation honest among the Gentiles: that, whereas they speak against you as evildoers, they may by your good works, which they shall behold, glorify God in the day of visitation. American King James Version×). This does not refer to large expenditures of economic resources or to large trips—this has to do with how we live our lives. 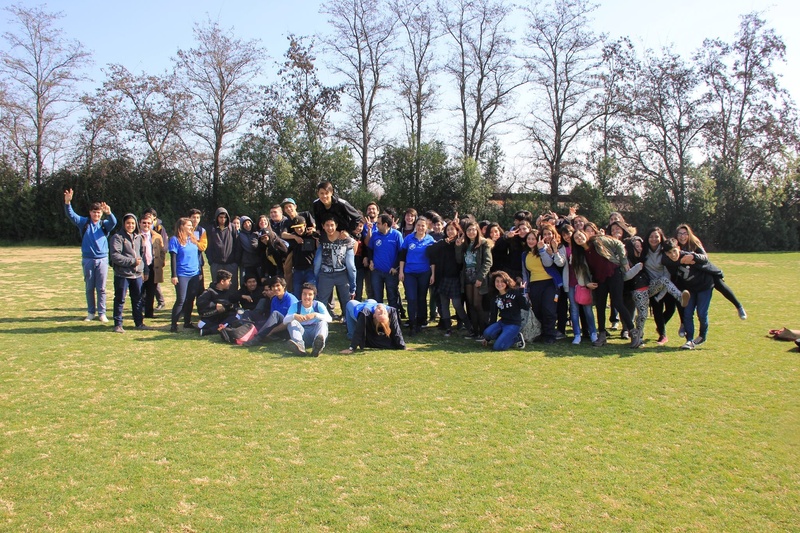 We greatly appreciate the Good Works program, because together with helping others through classes, with learning new things, or working on construction projects, it has also helped to develop bonds between young people from different parts of the world, making the world become “smaller” for the members in Chile. It’s helped us to see that the United States, Australia and other countries are not so far away. They are not unreachable, and the stamps of these countries may be marked in their passports if they so wish. We are bound together through God’s Spirit and the work of the Church. We have been able to carry out “official” Good Works projects in 2015, 2016 and in August of 2017. However, we wanted to answer the question asked earlier: “Why wait for foreign volunteers to do good works?” The Good Works program doesn’t invite us to do good once in while, or to help people just once a year. That is not enough. We appreciate Good Works and the role it plays in providing for a wider range of needs. We have come to see it as an incentive for local members and congregations in Chile to be attentive to local needs and the needs within the community on a regular basis, not just once a year. This is how we have come to conduct local Good Works projects, being an aid to the community and congregation at any time we are able. Some of our local projects have included help to a family after they had a fire, help in the construction of a home in southern Chile, parties for children in a public square in Argentina and collection and delivery of educational materials in two schools. These are projects that we have conducted locally, because they are smaller and manageable for our local congregations. Because these are local you won’t see advertising on the Church website or in the eNews. But we challenge you to think about the needs of your local congregation and your local community. Perhaps your congregation already has local service projects. If so, we invite you to share how your congregation is conducting Good Works. If not, we invite you to converse with your pastor to build your own local Good Works group and take part in the good works that God has called us to perform. “And let our people also learn to maintain good works, to meet urgent needs, that they may not be unfruitful” (Titus 3:14 Titus 3:14And let our’s also learn to maintain good works for necessary uses, that they be not unfruitful.